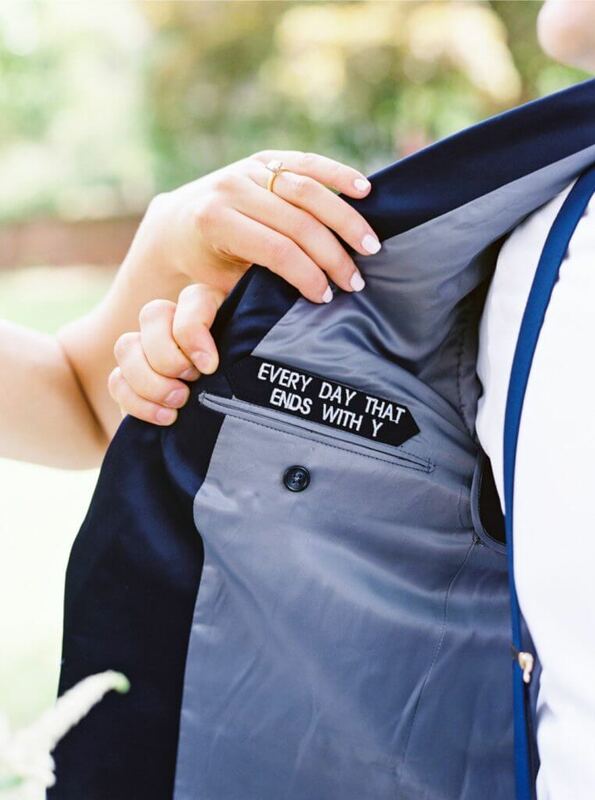 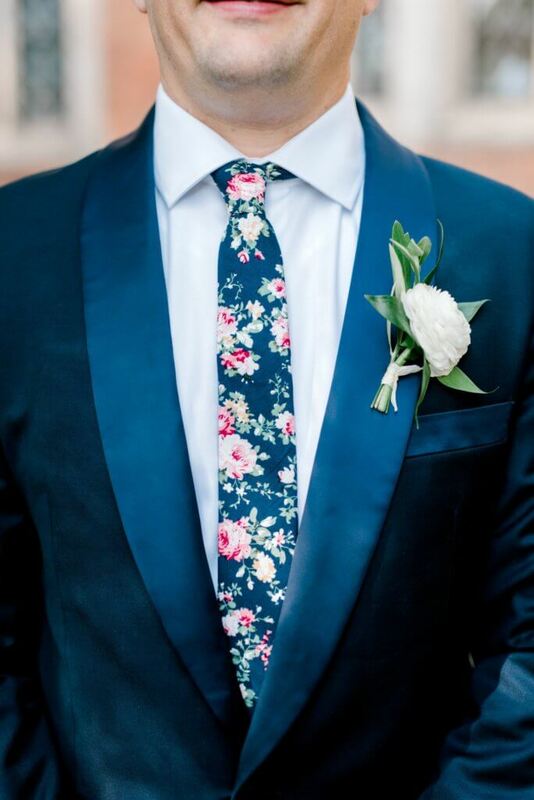 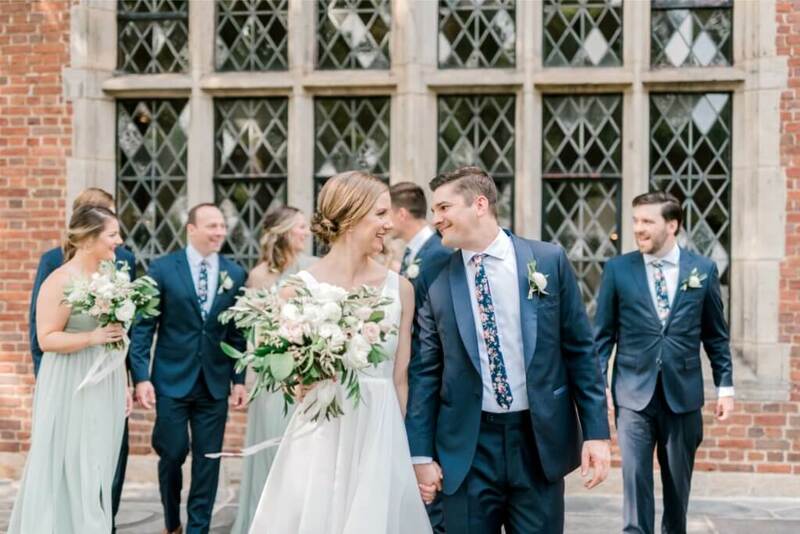 Matt and Mo picked their venue for multiple reasons. 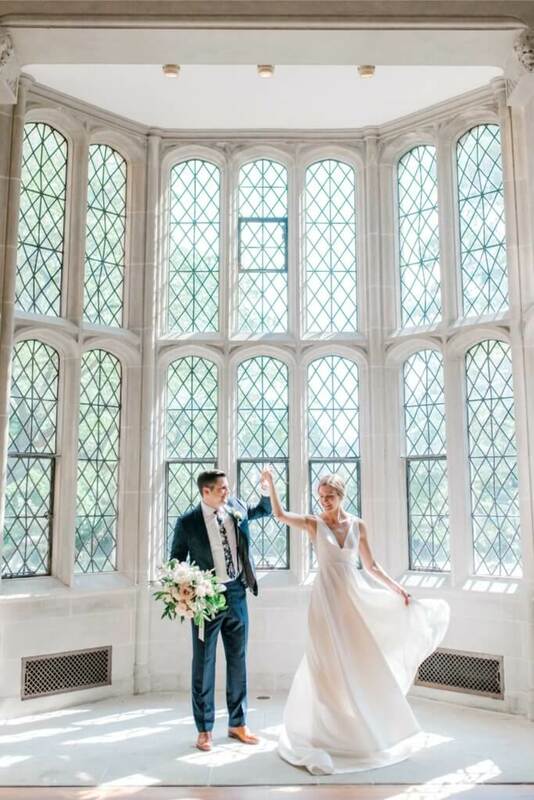 The two both have a love and appreciation for the history of architecture and design. 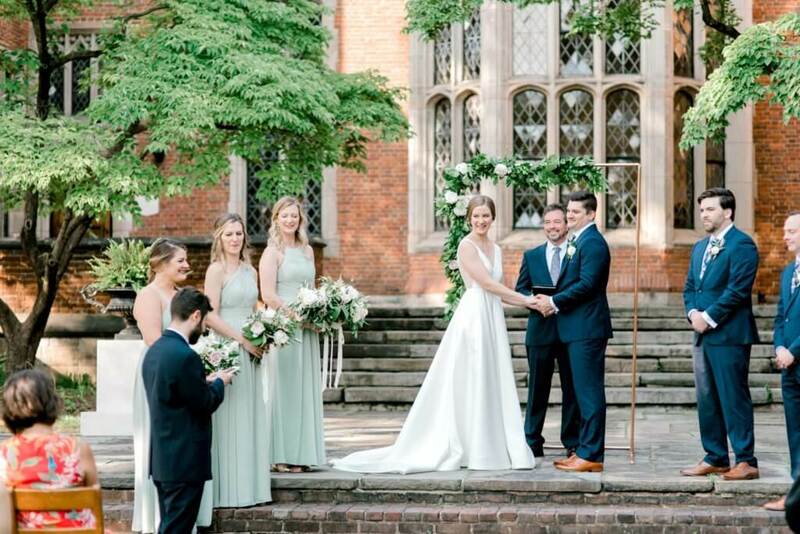 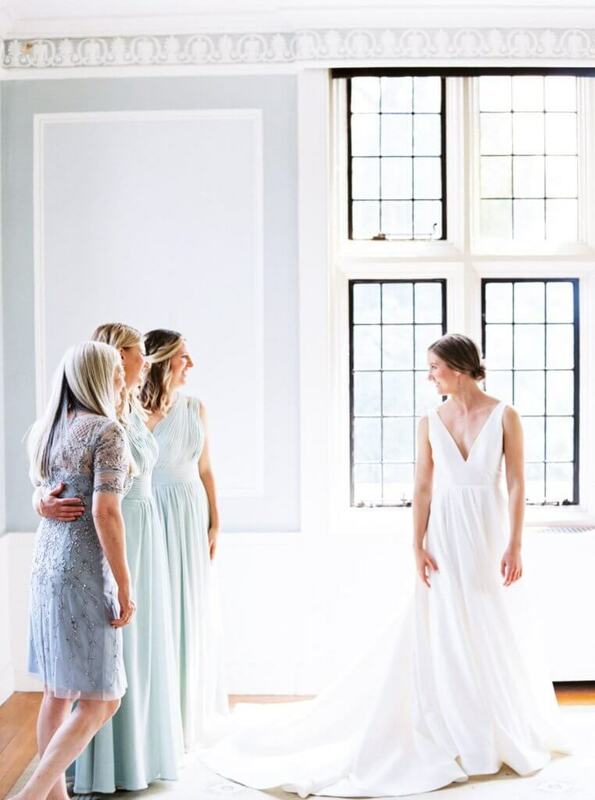 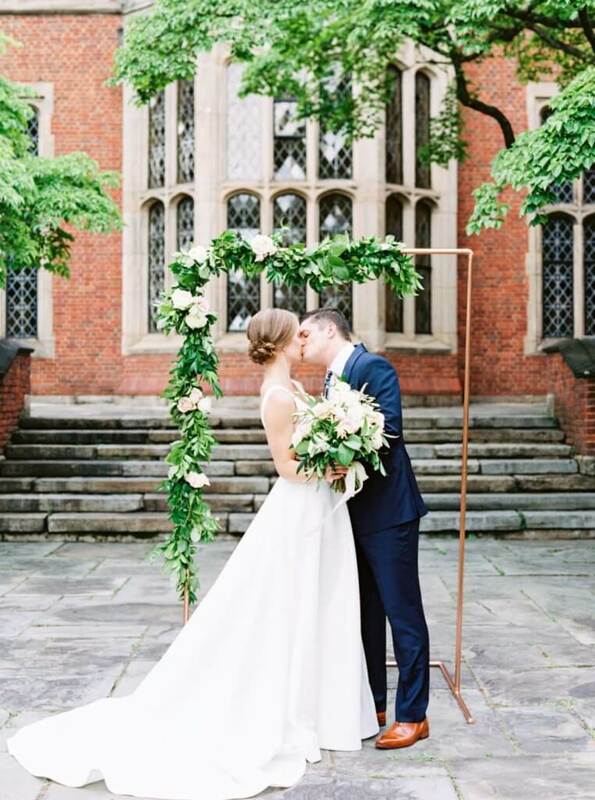 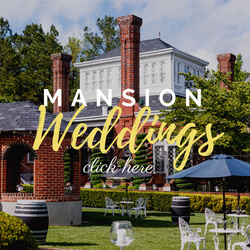 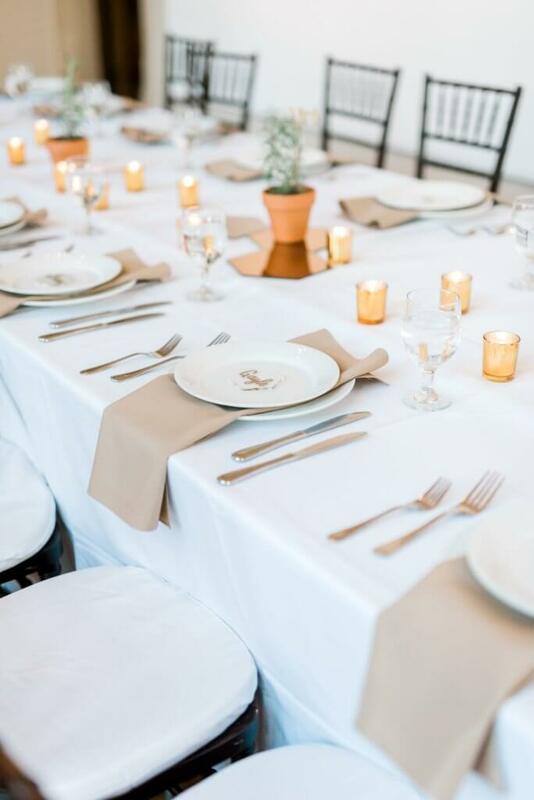 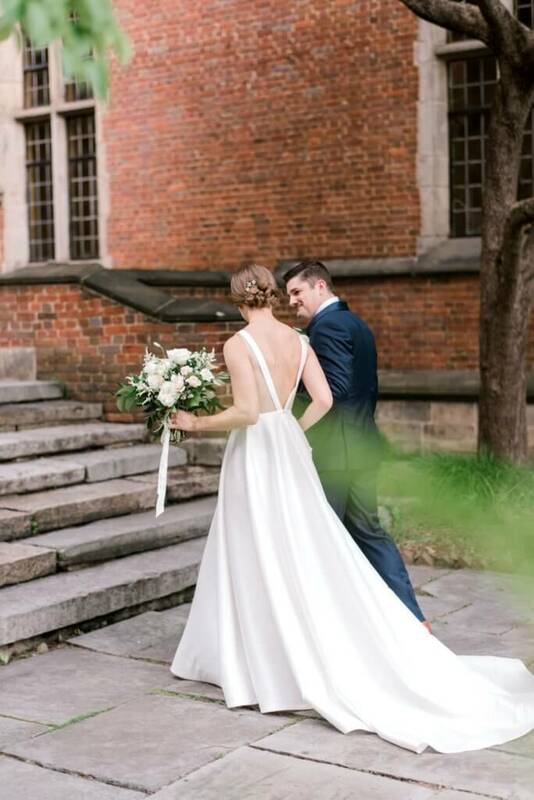 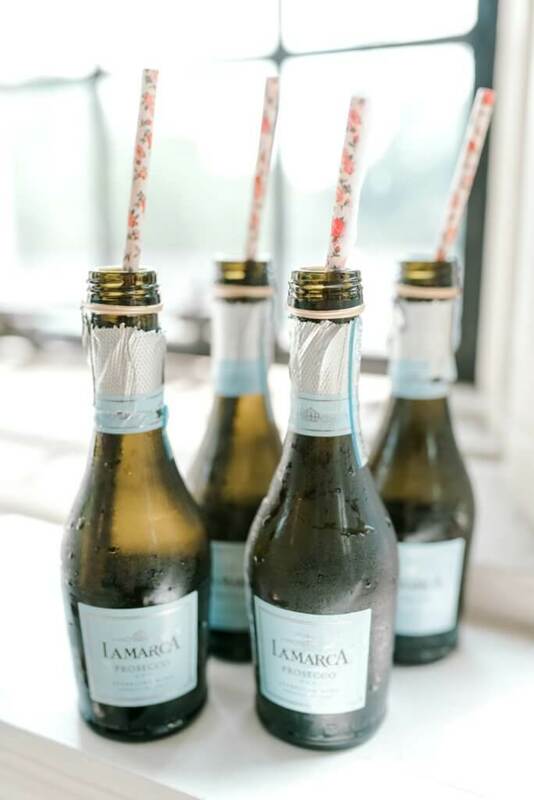 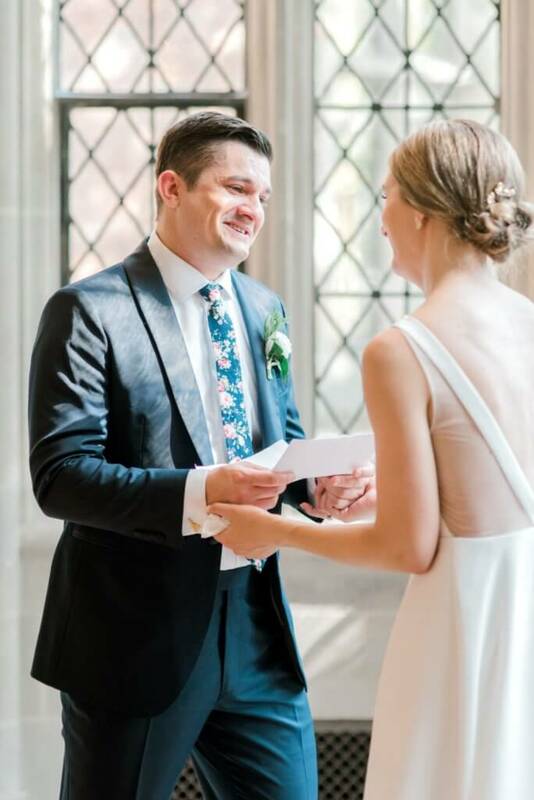 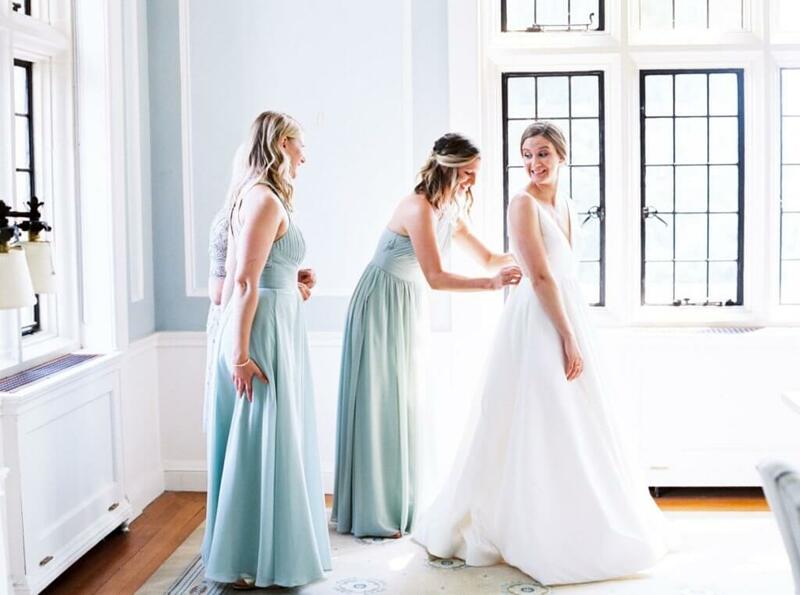 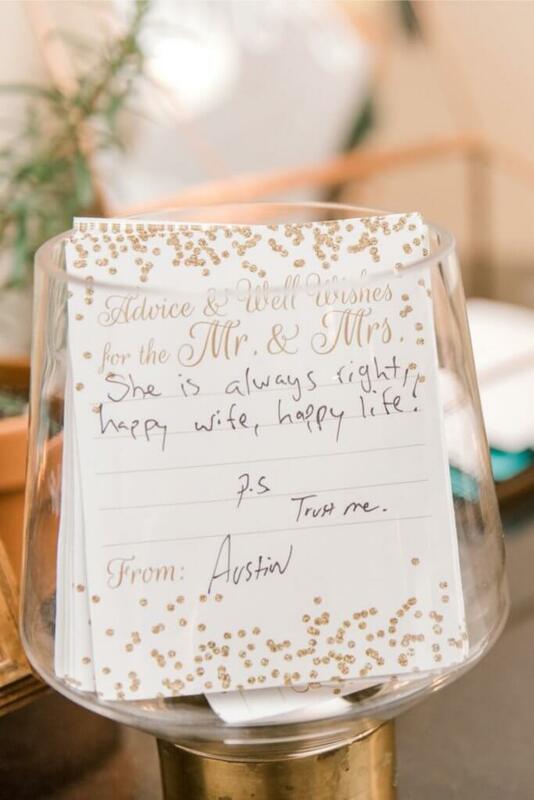 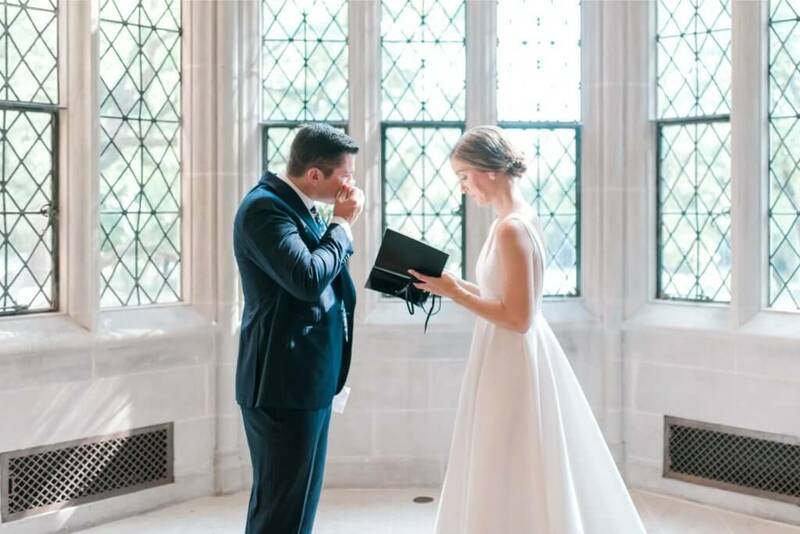 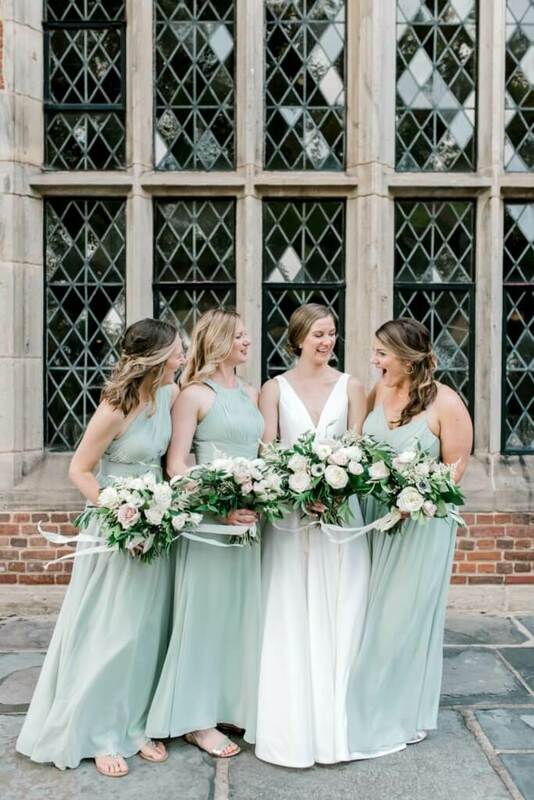 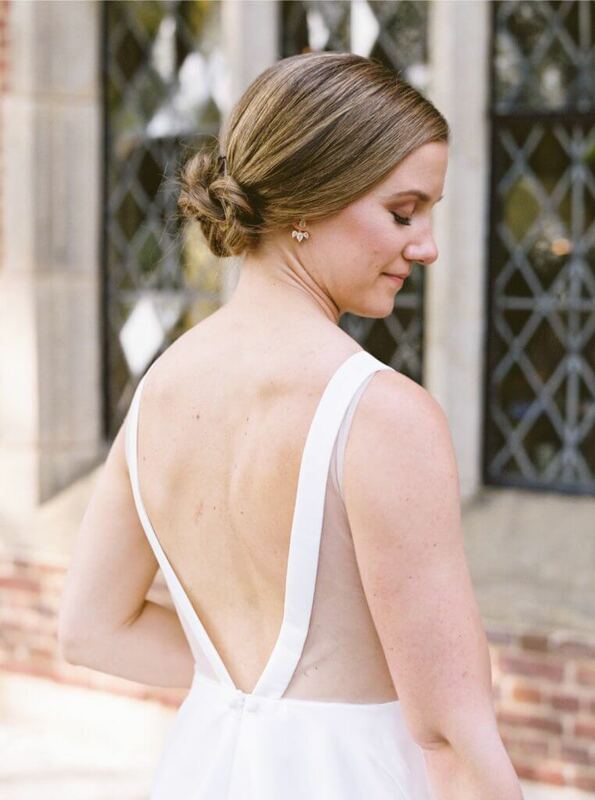 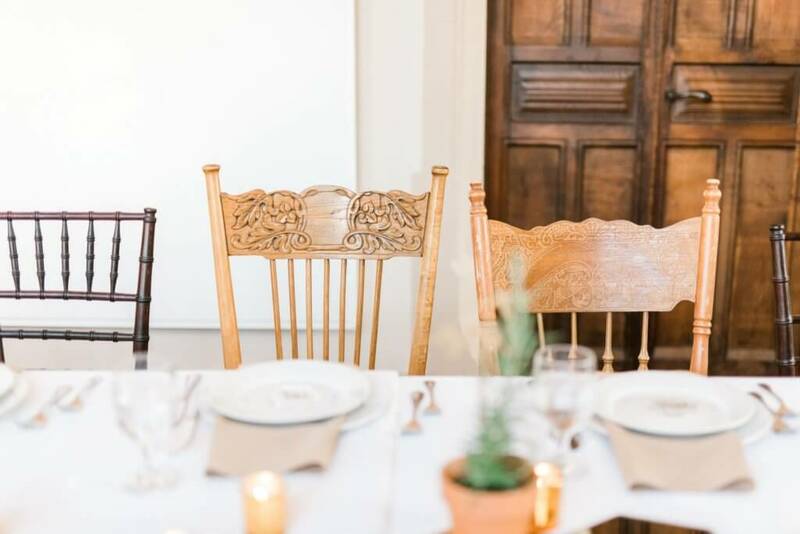 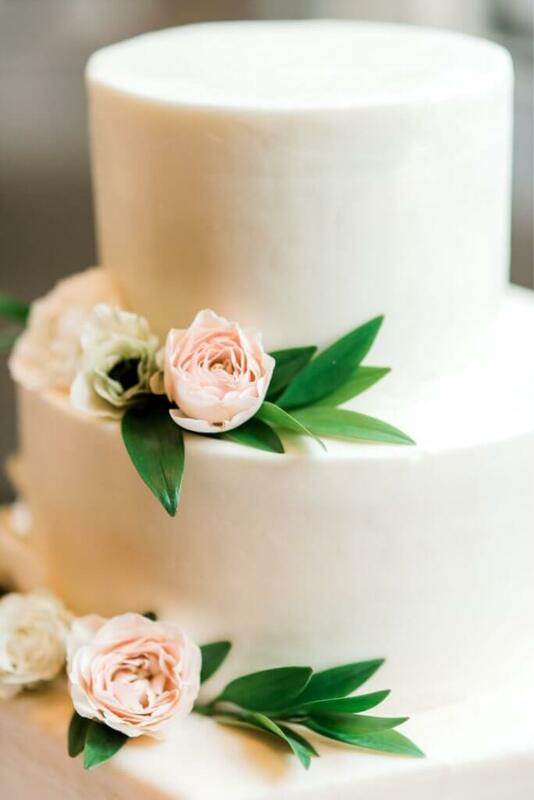 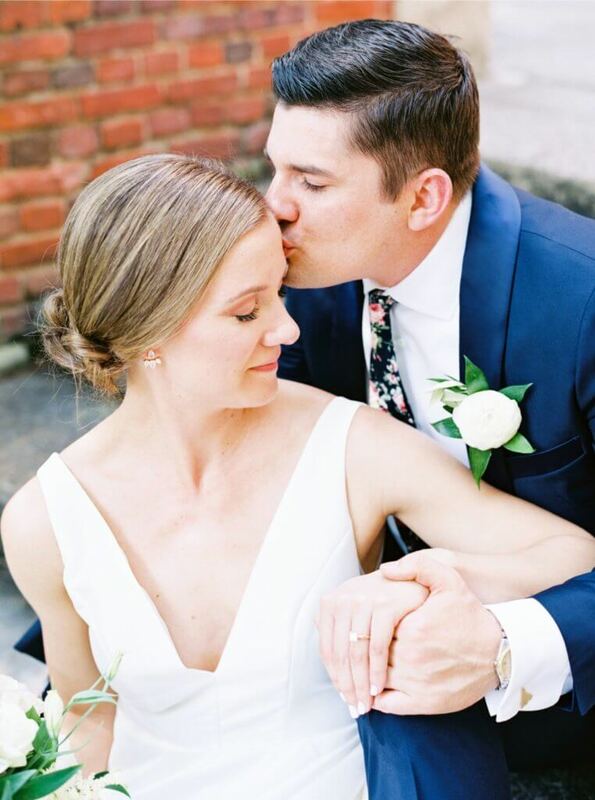 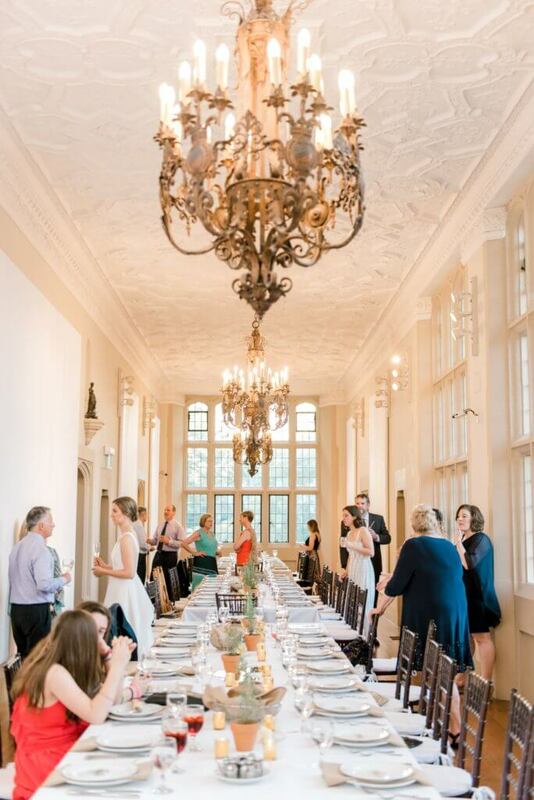 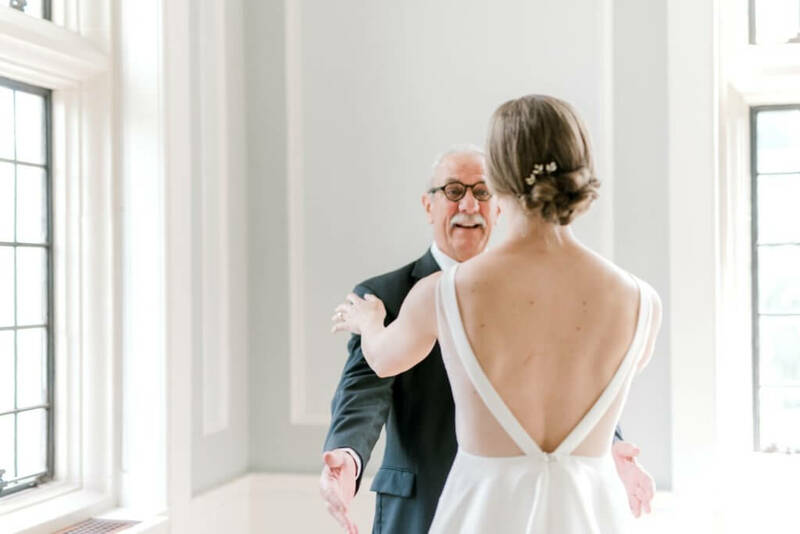 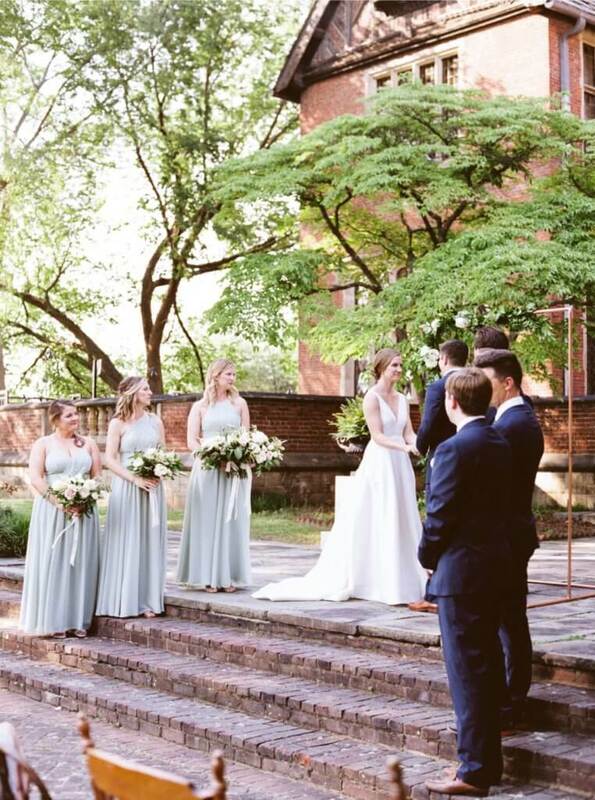 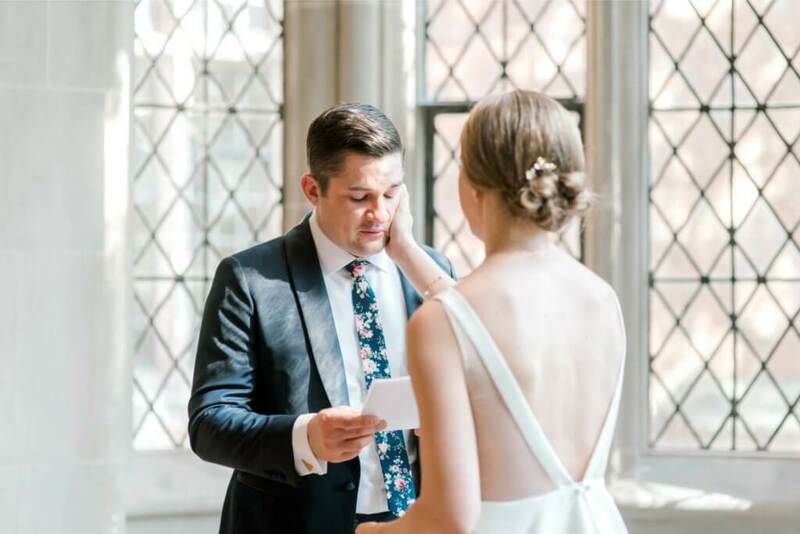 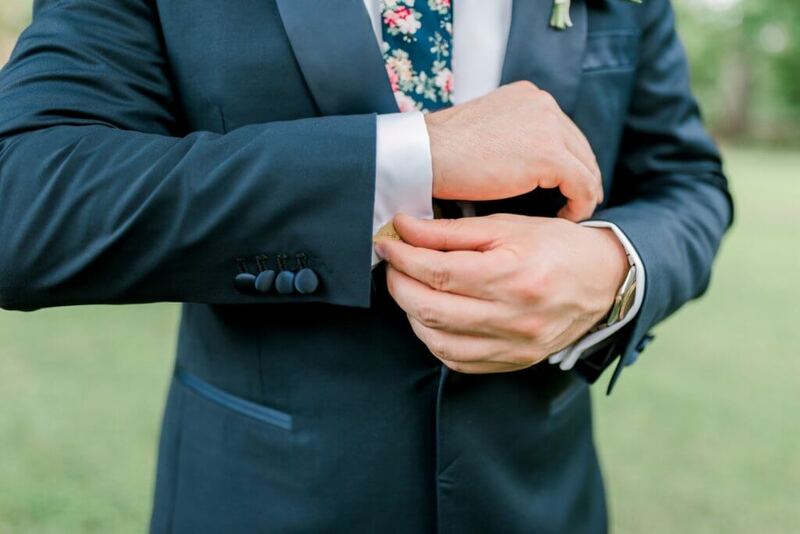 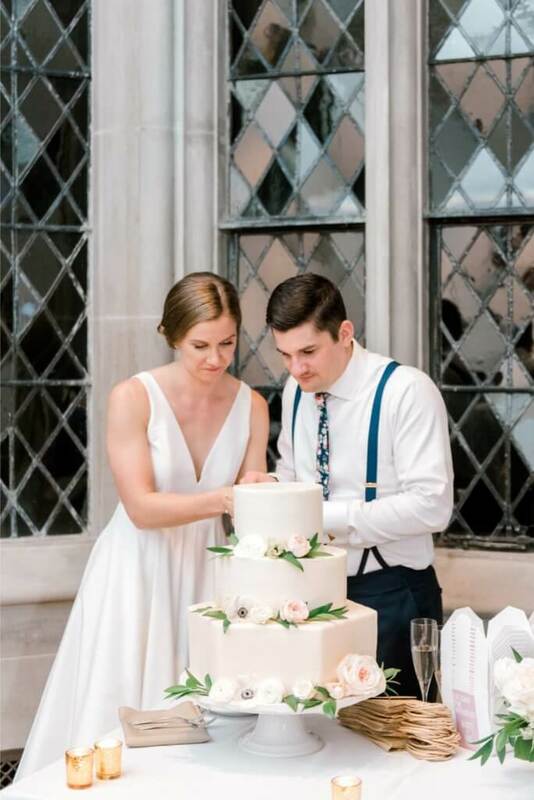 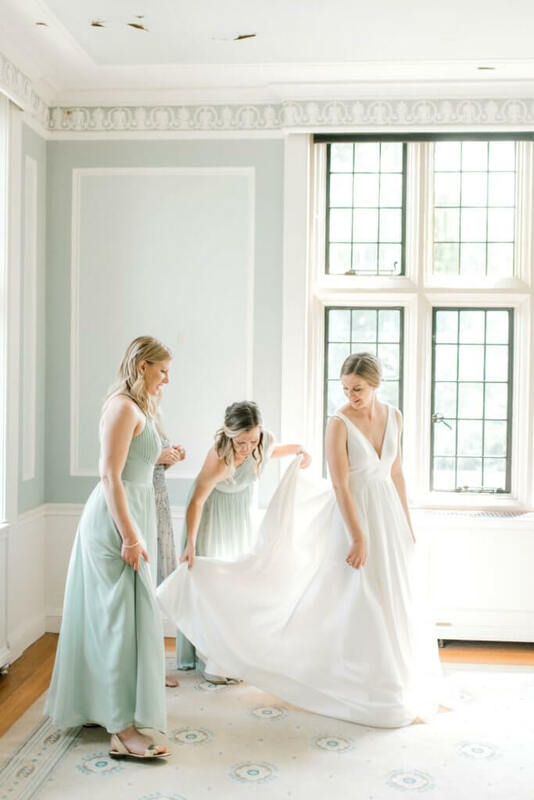 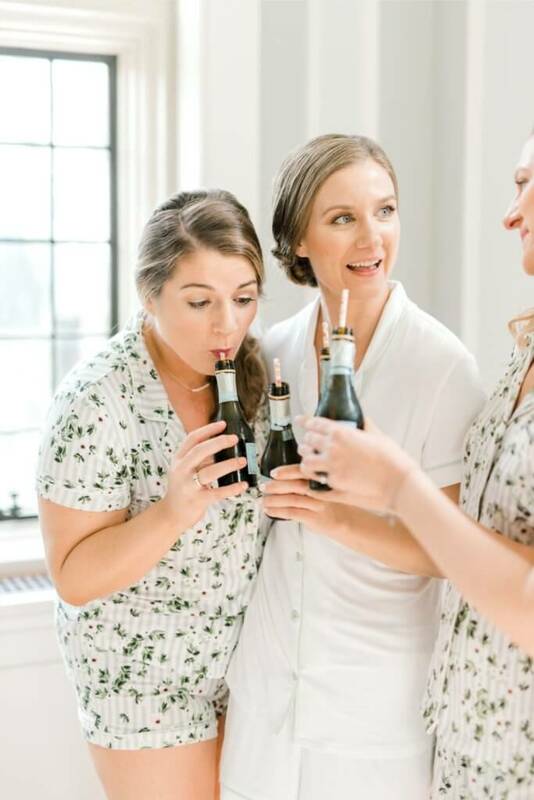 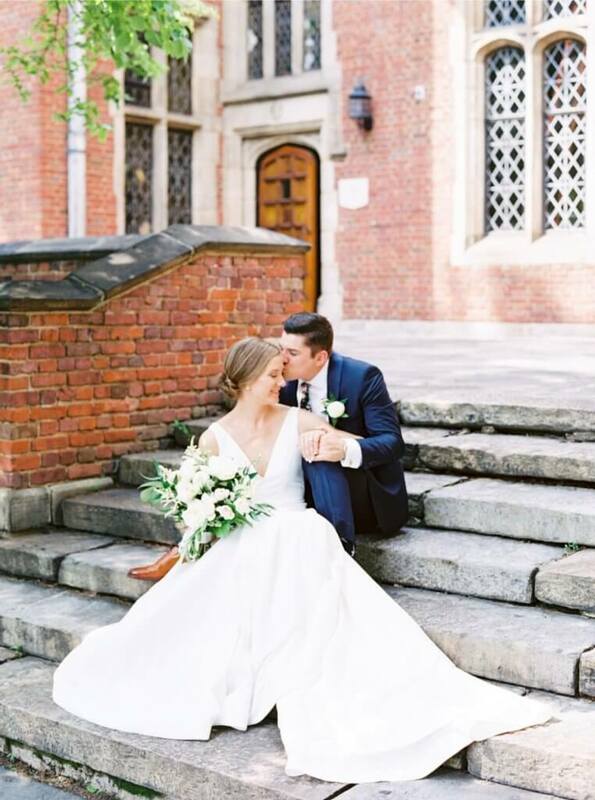 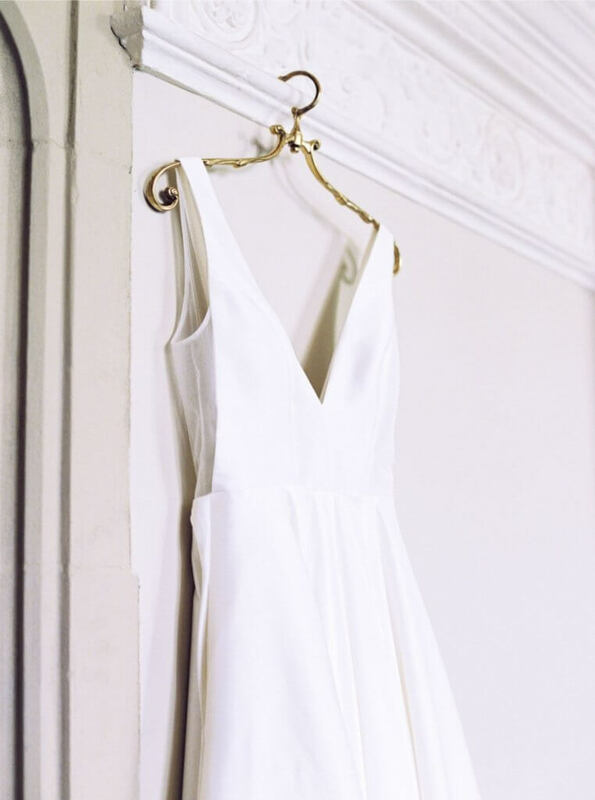 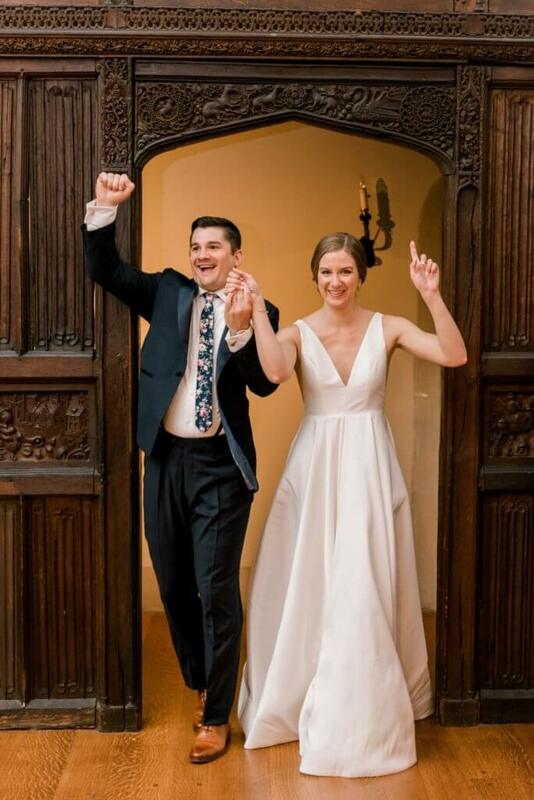 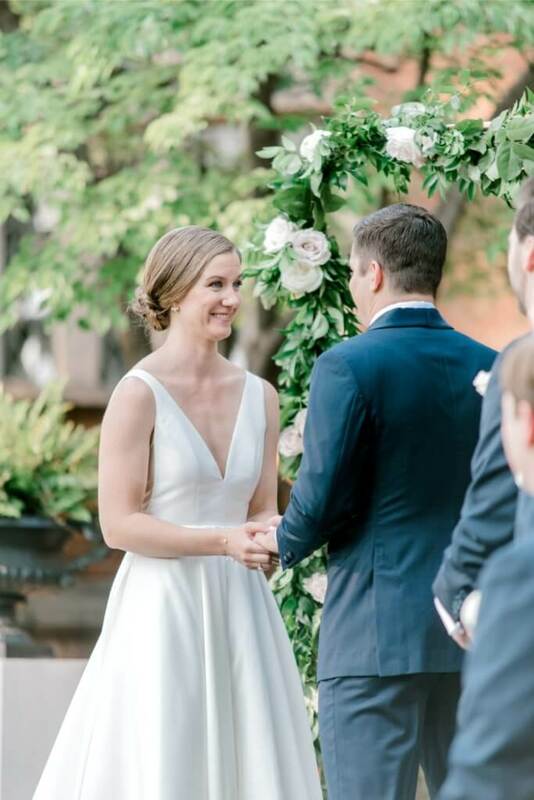 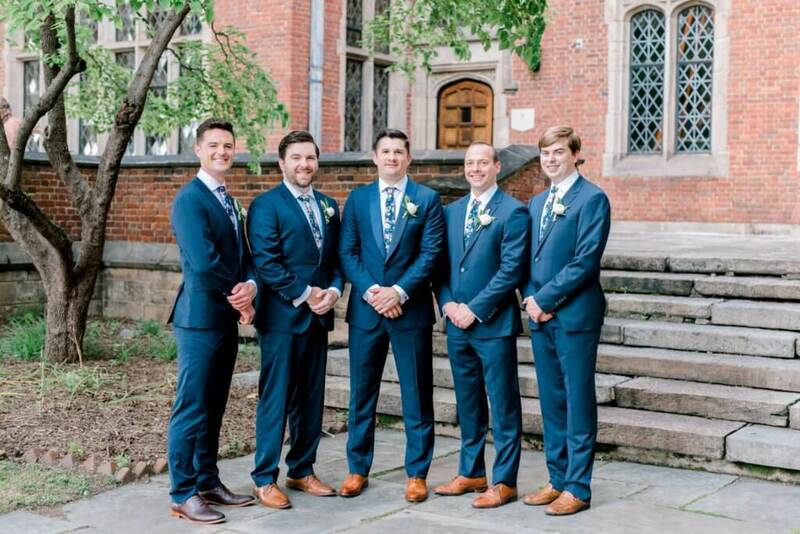 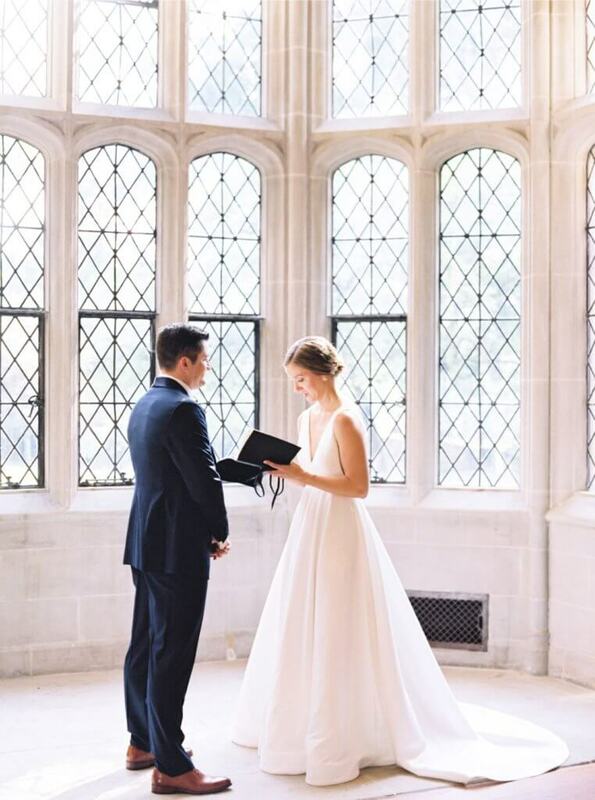 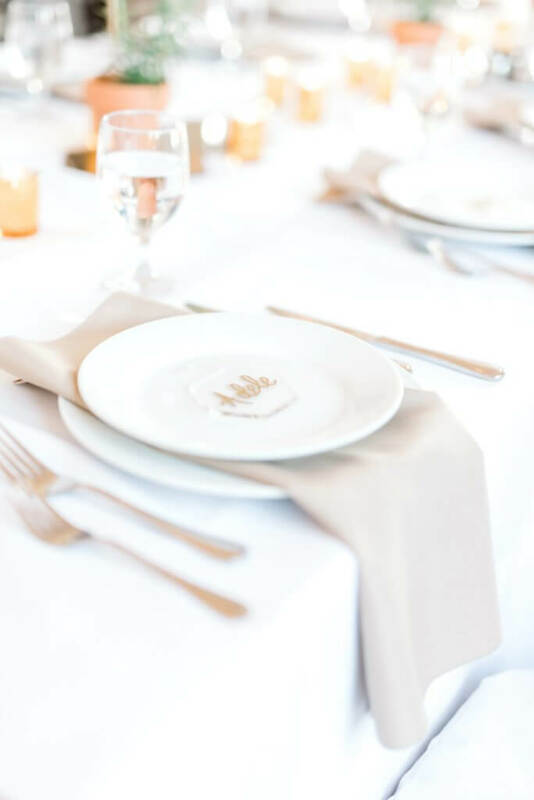 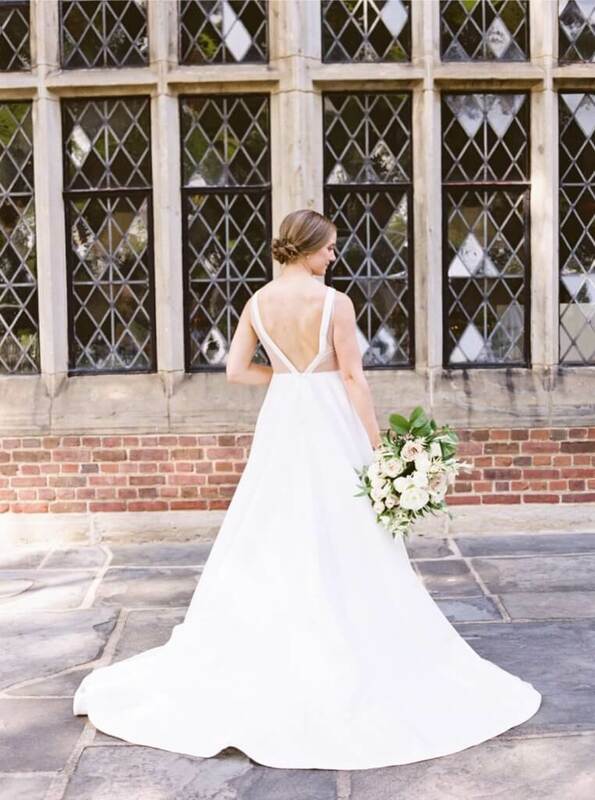 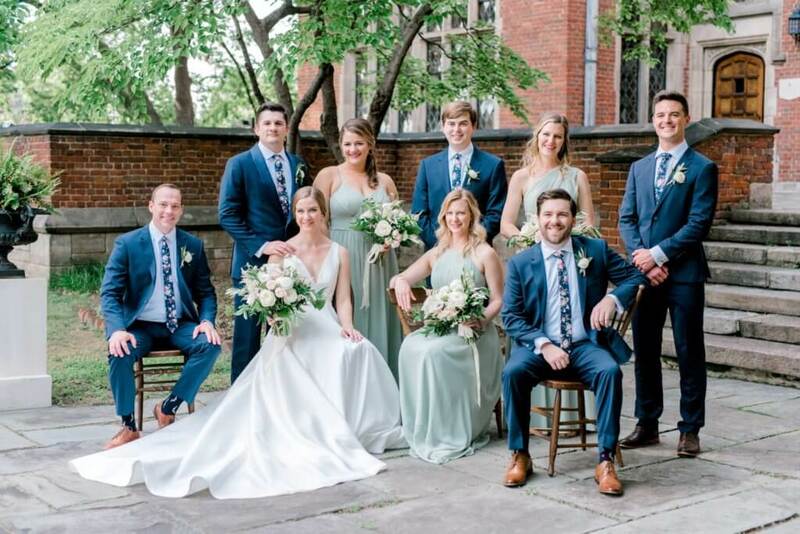 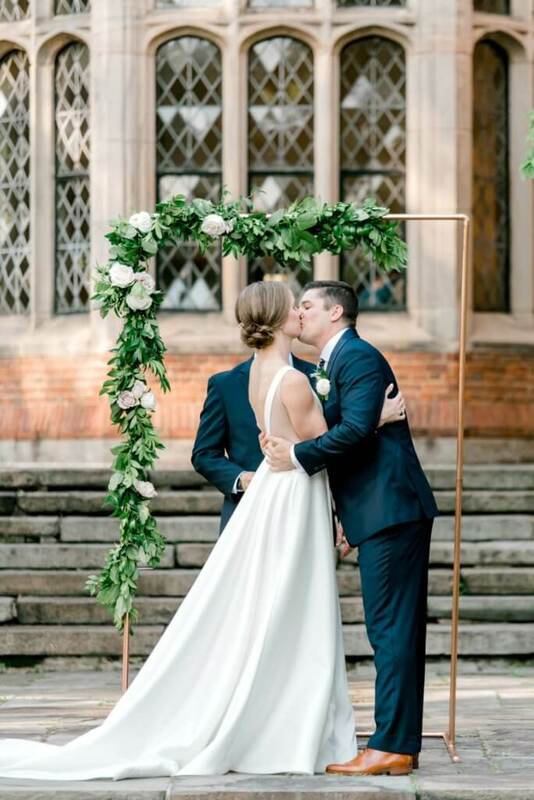 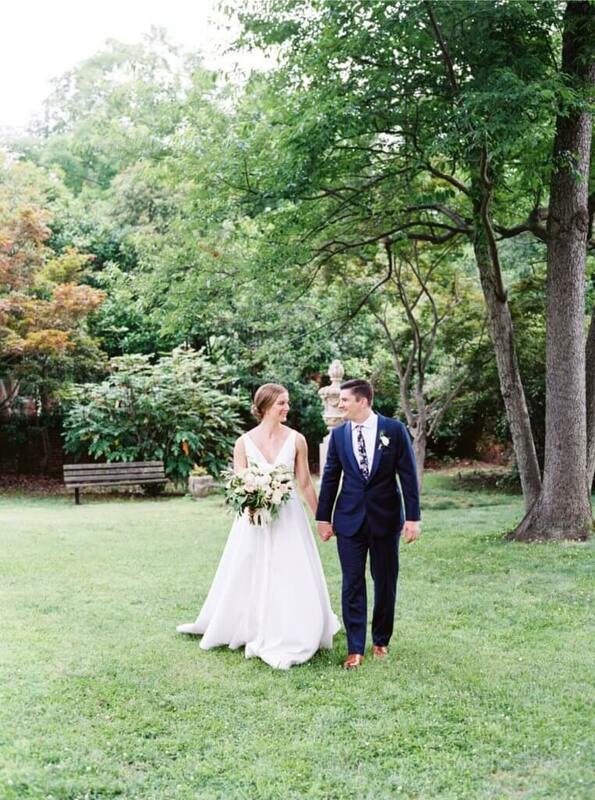 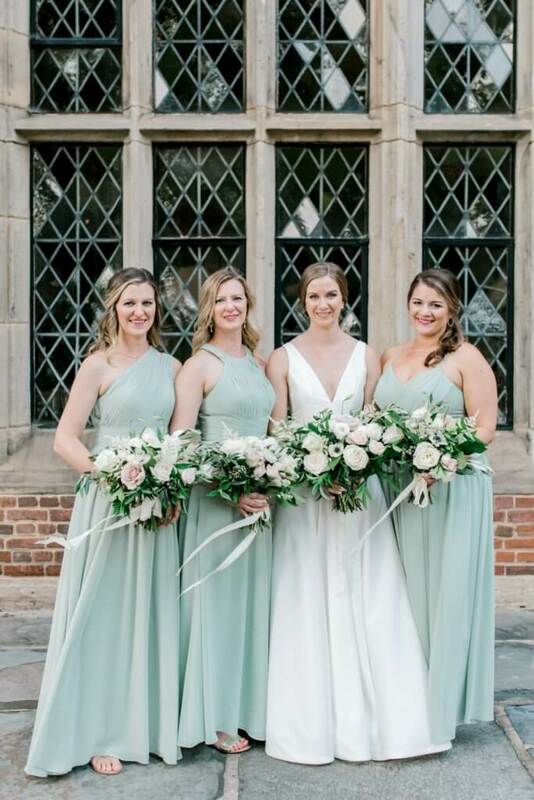 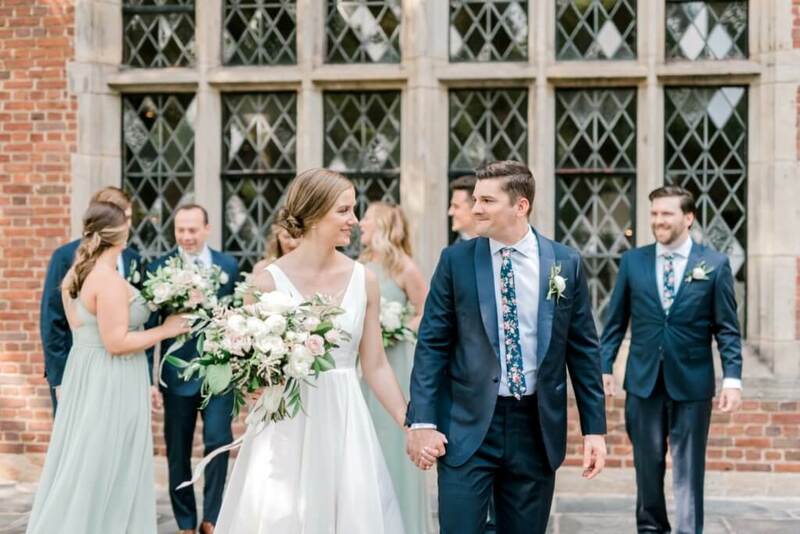 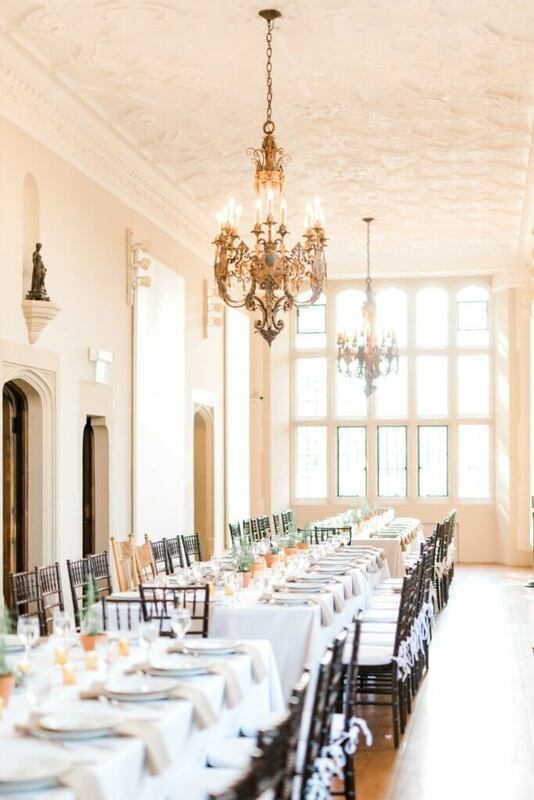 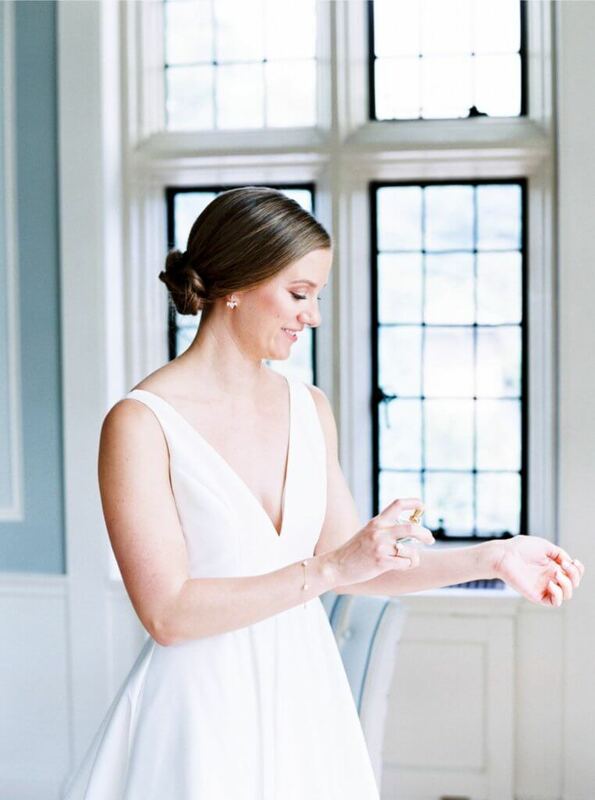 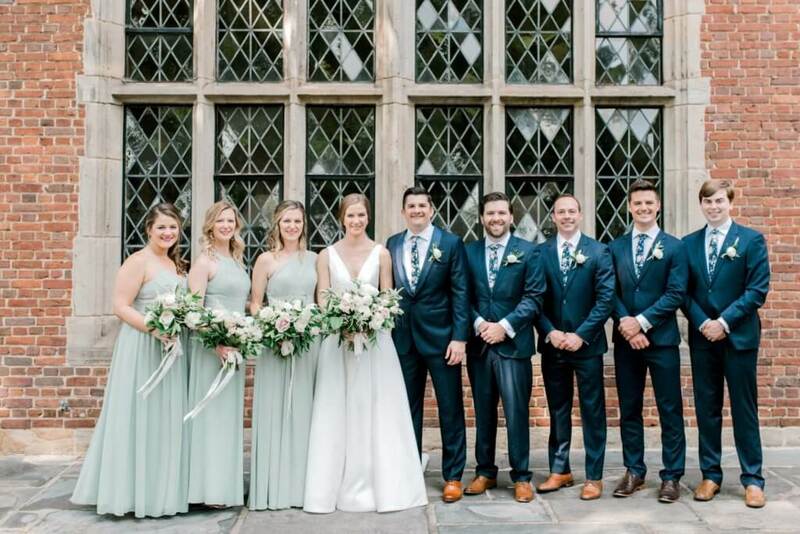 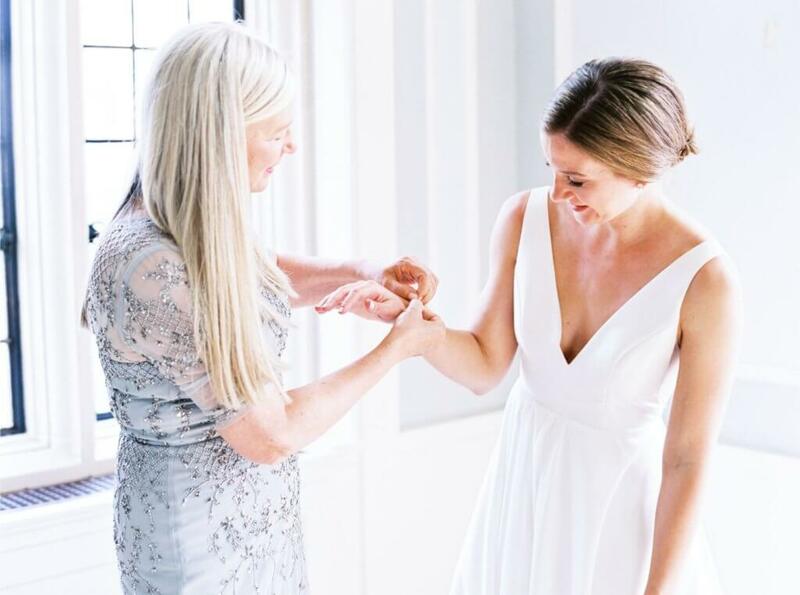 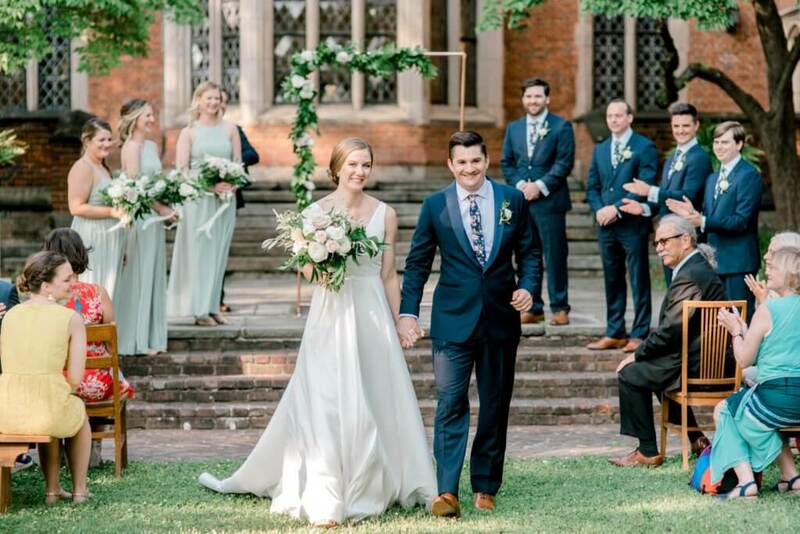 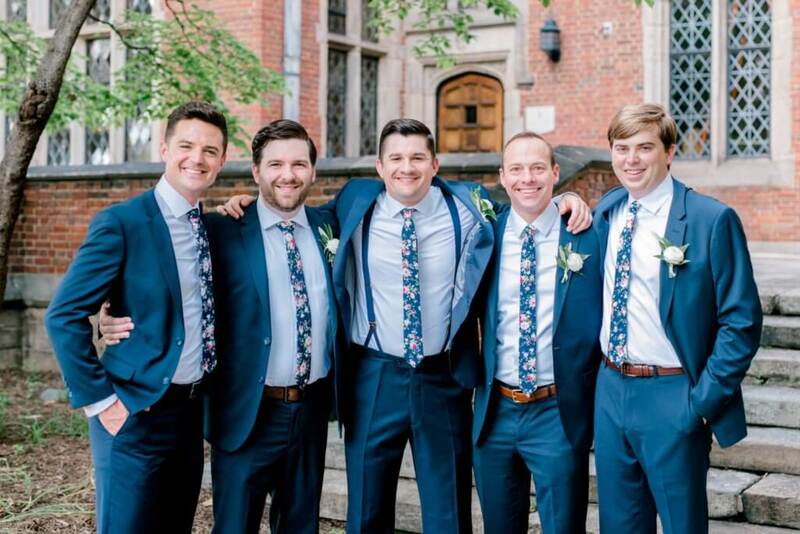 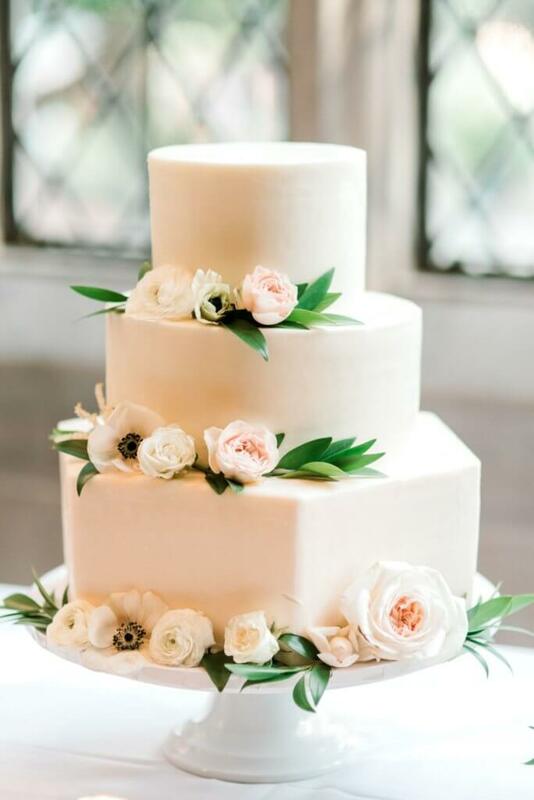 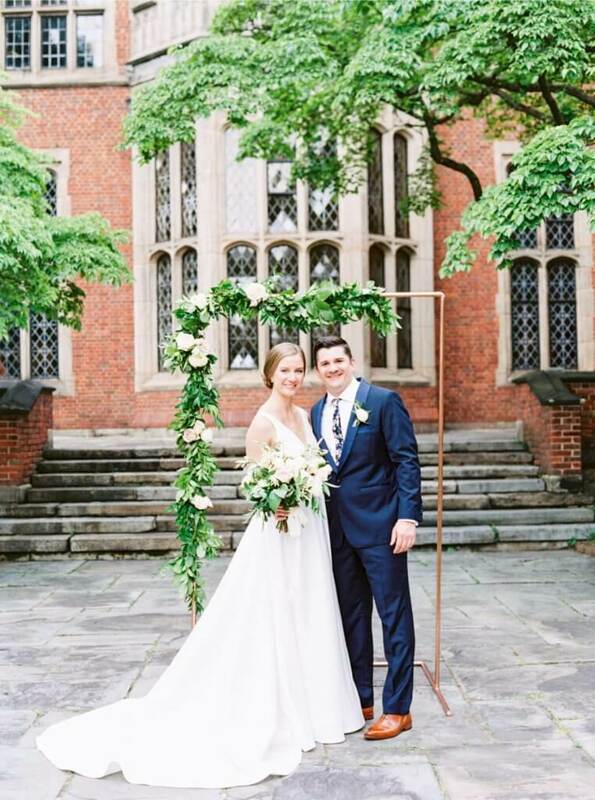 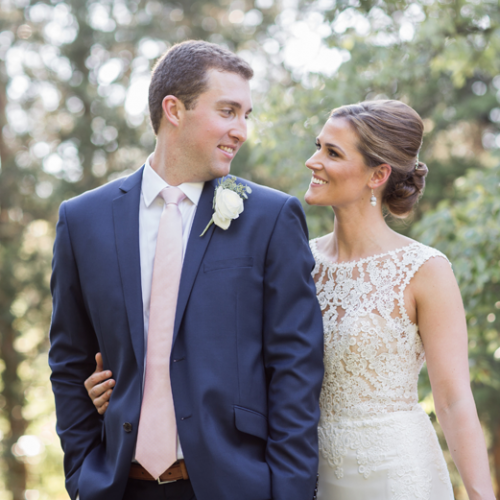 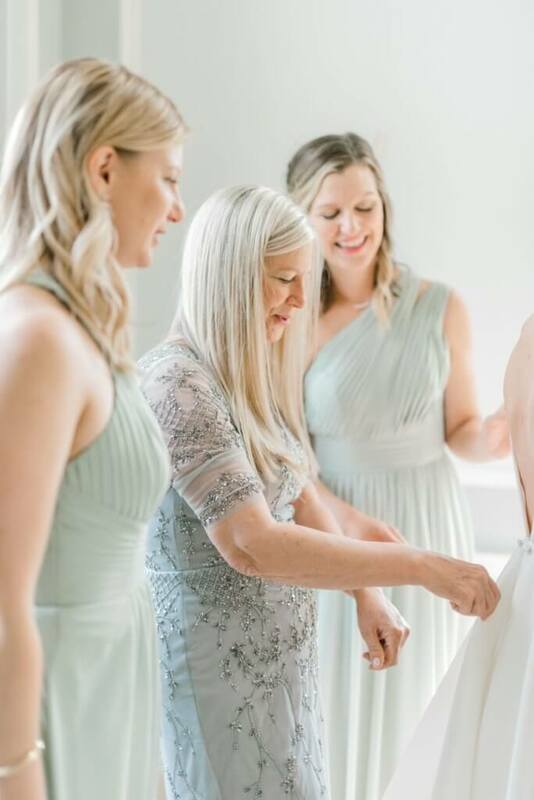 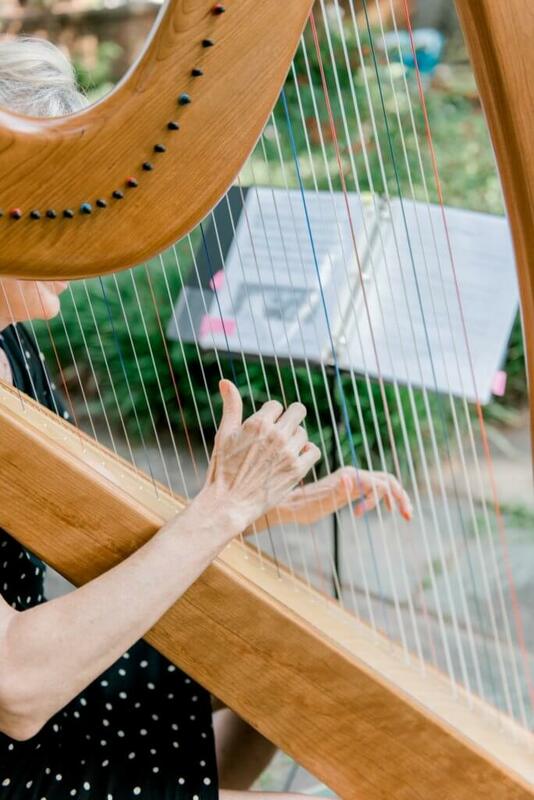 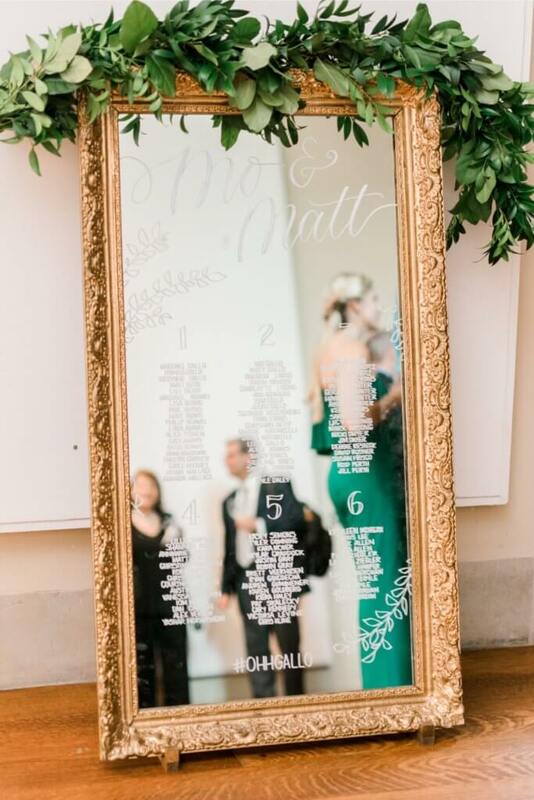 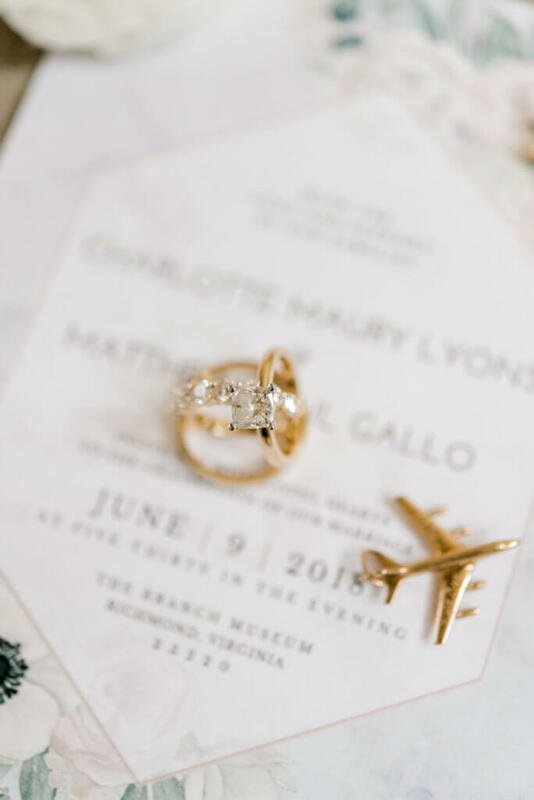 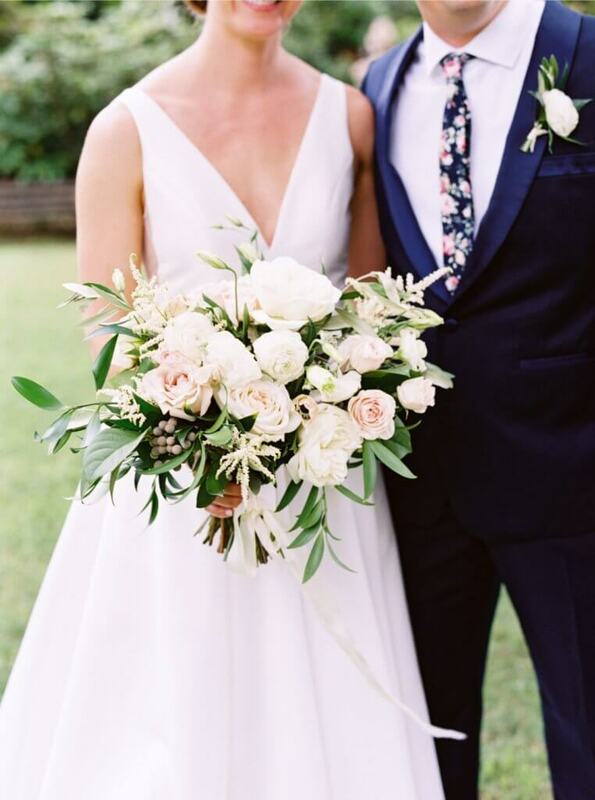 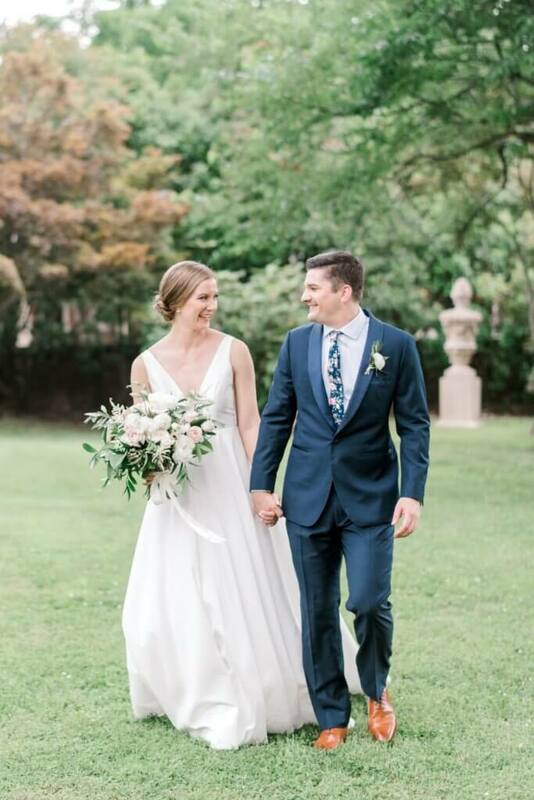 “It was stunningly elegant and with so much charm, but still a blank slate that we felt we could make into our own without overdoing it.” They also loved the proximity to downtown Richmond, giving their guests a true experience with the charming city they both love. 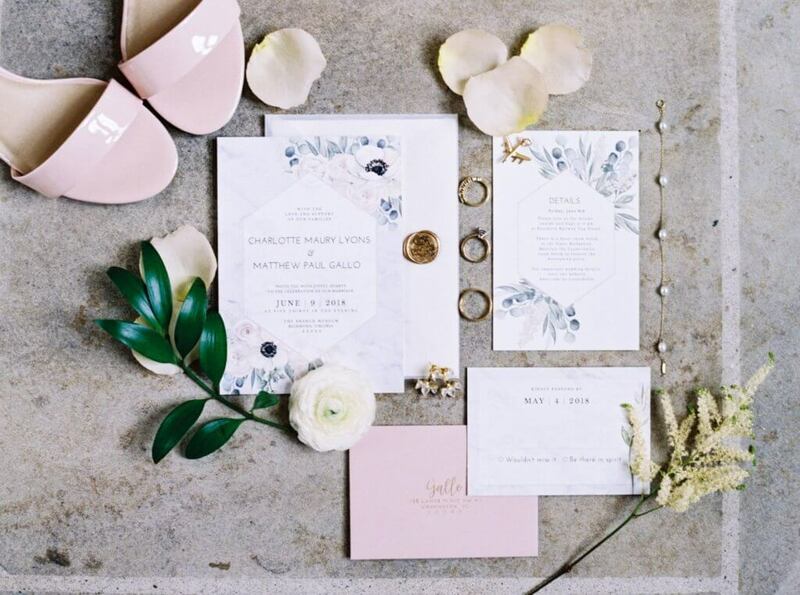 “I wouldn’t say we have a theme in mind, more of a vibe we were aiming for. 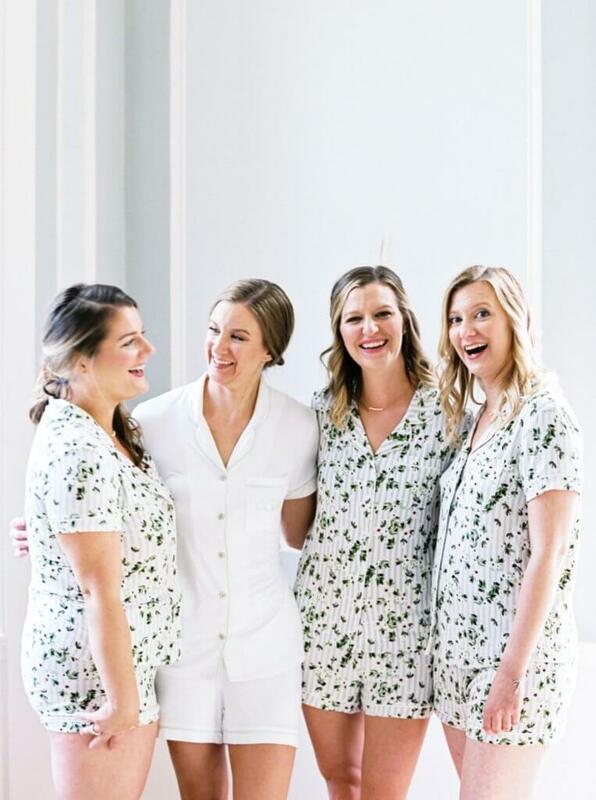 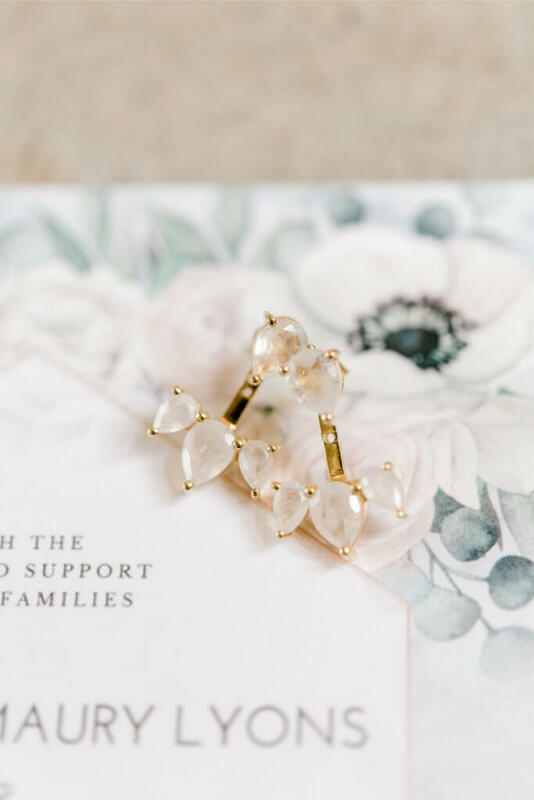 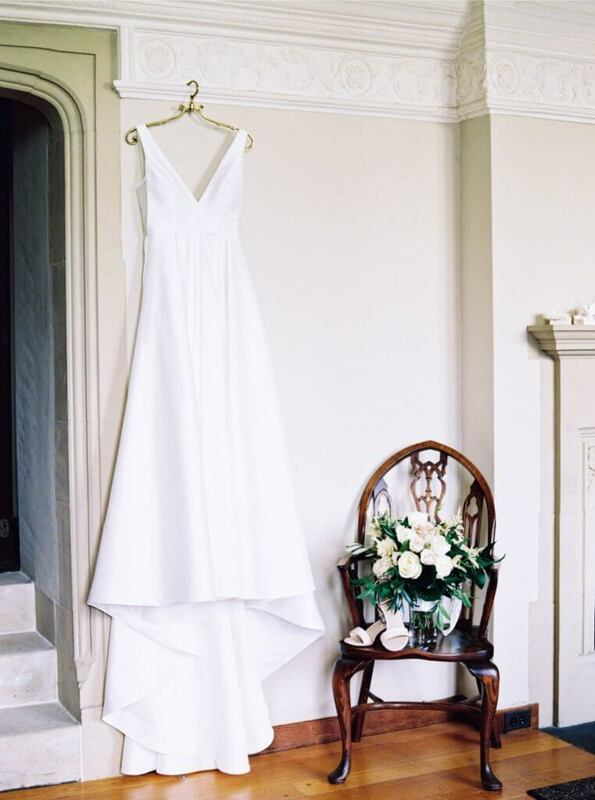 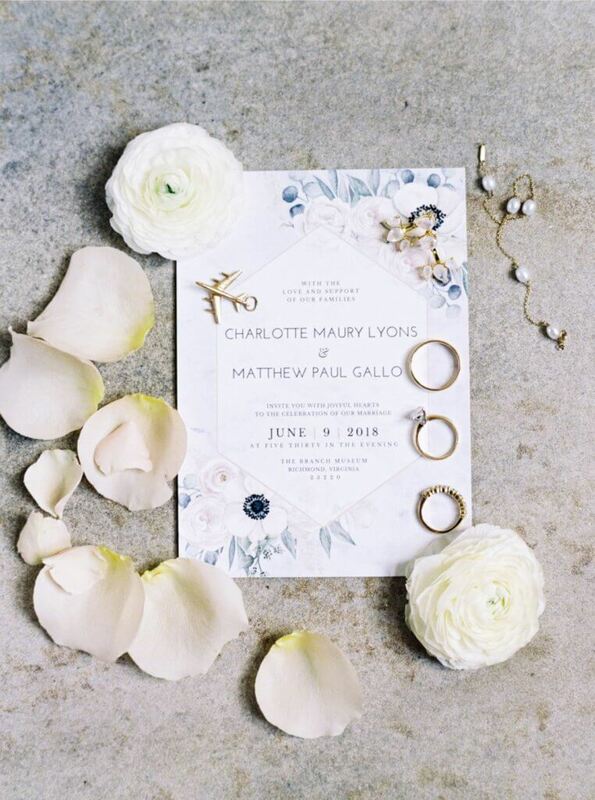 We wanted everything to feel relaxed, organic, inviting, lush, and elegant.” They didn’t want it to feel fussy or overly fancy, but rather modern and classy. 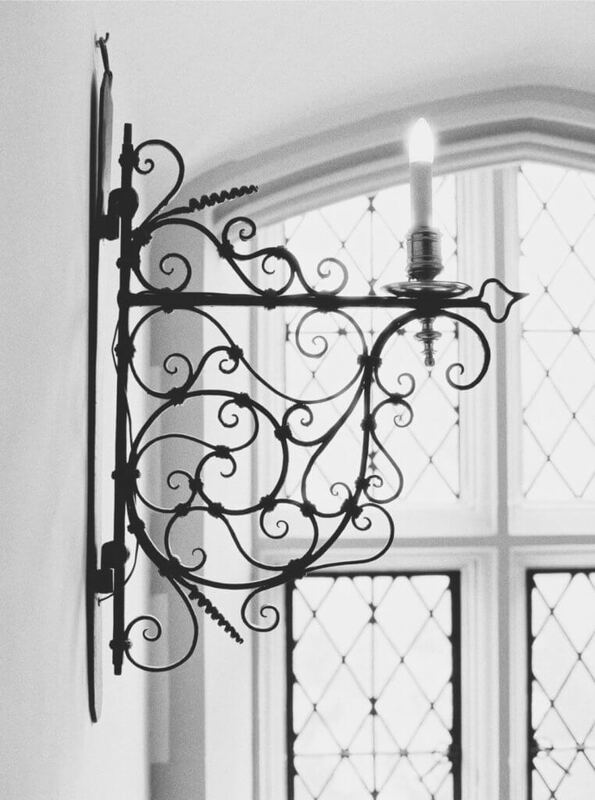 They really wanted the breathtaking architecture and simply modern accents of The Branch Museum to speak for themselves. 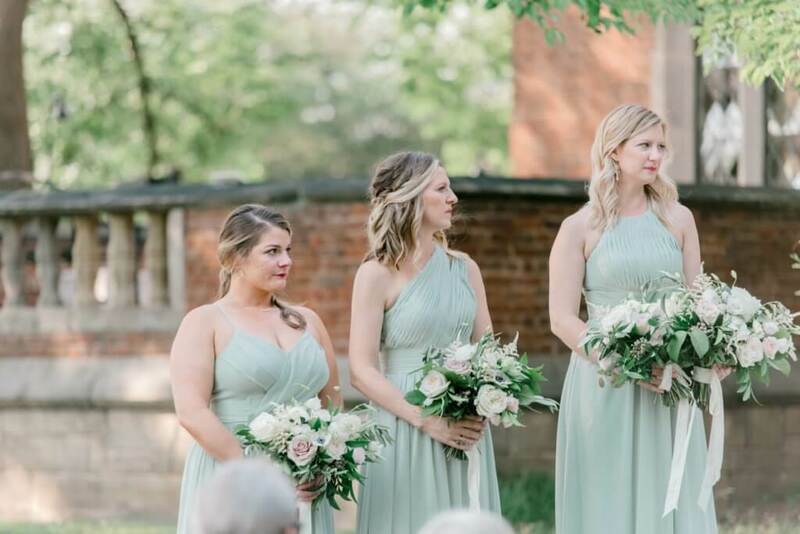 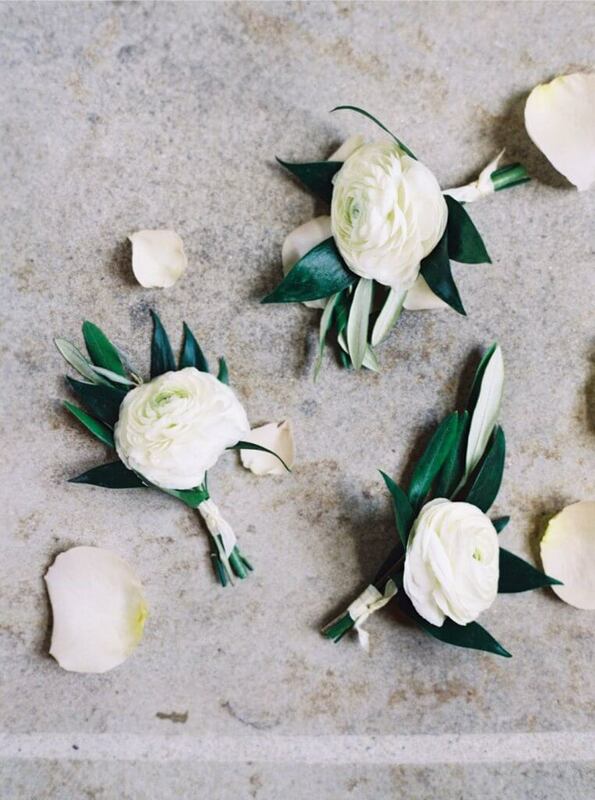 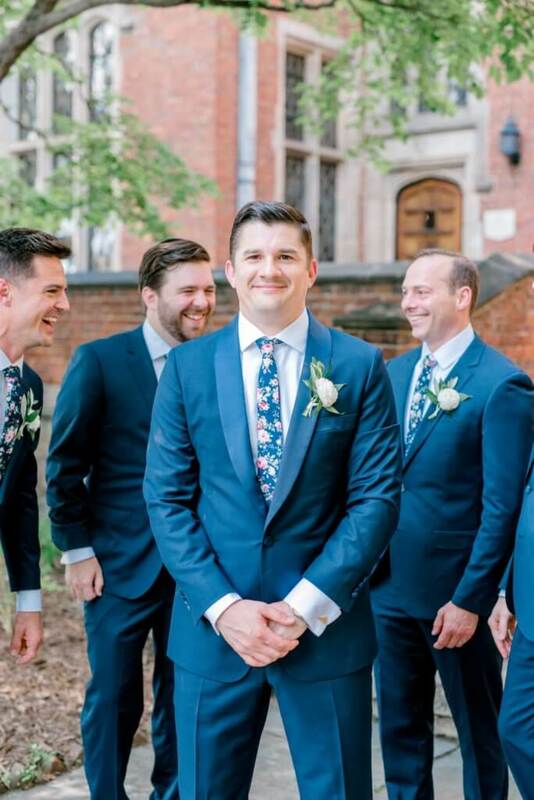 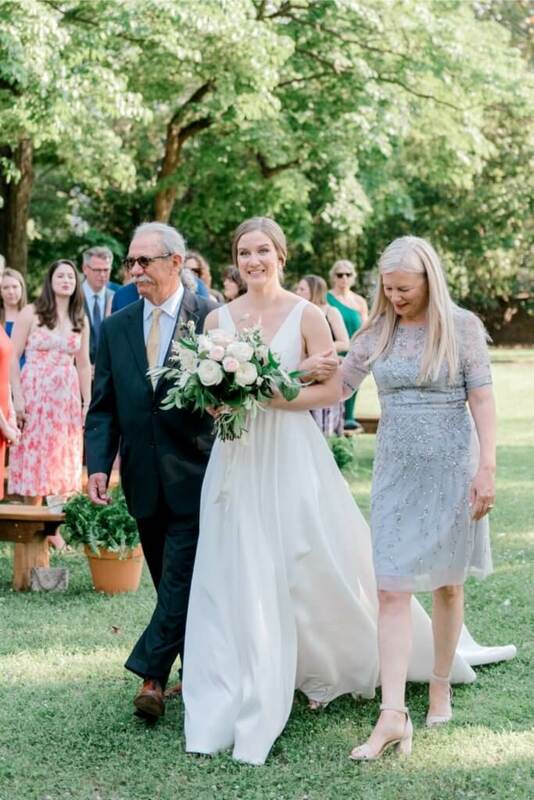 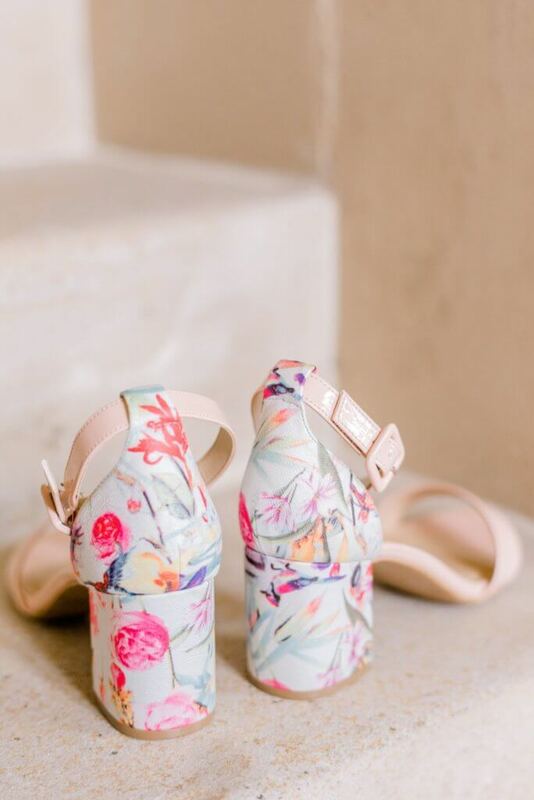 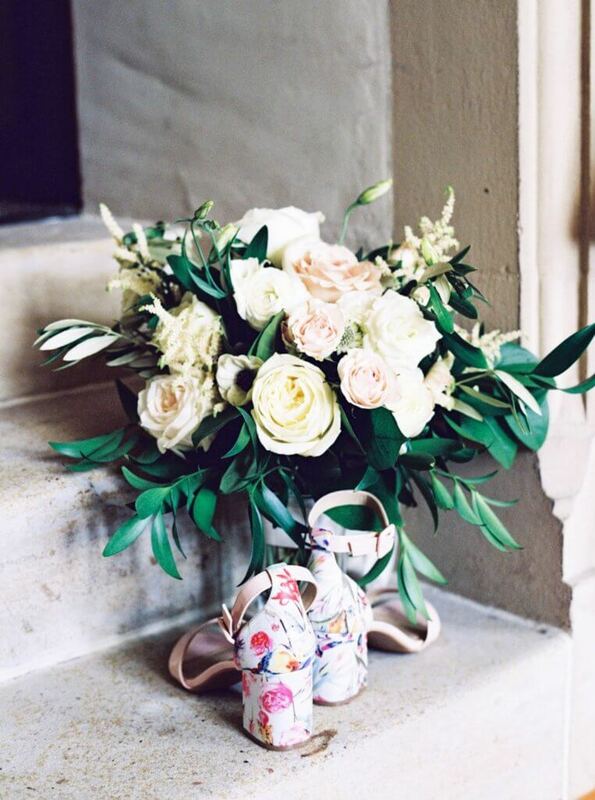 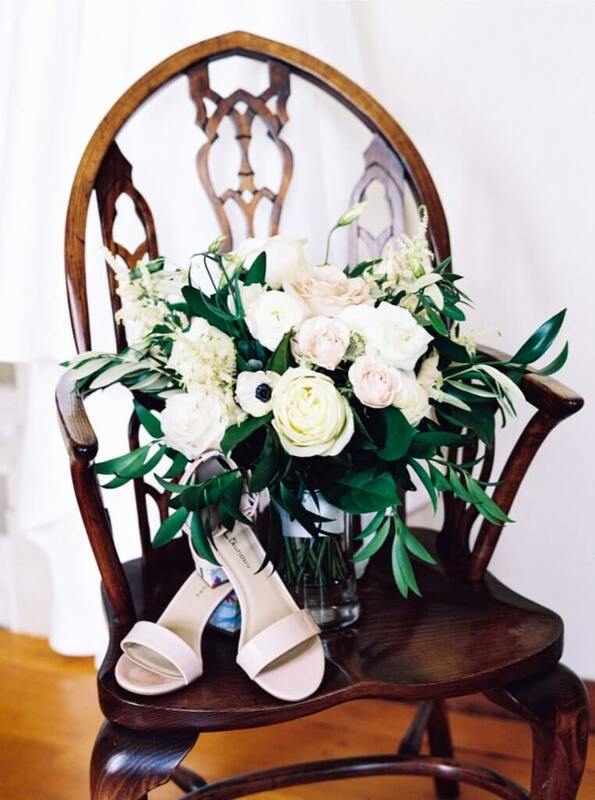 To save on costs, after the ceremony and all the photos, the bridesmaids’ bouquets were put in vases and used as accents around the space in addition to some smaller arrangements. 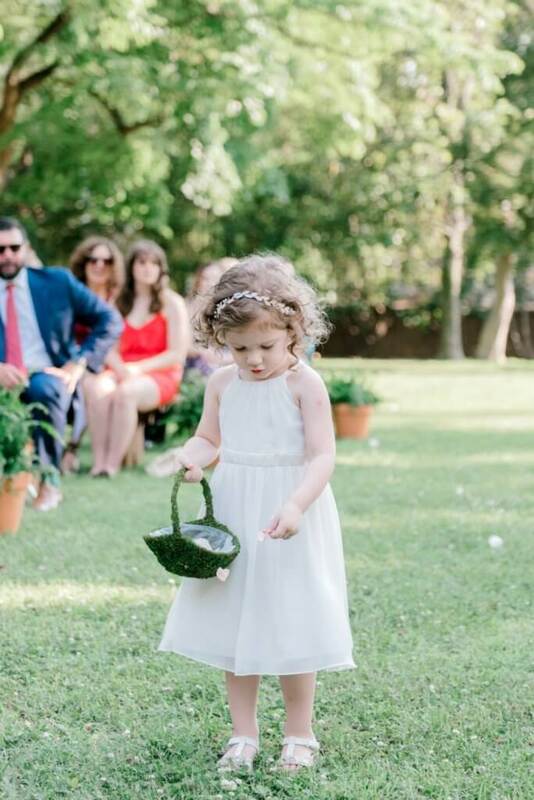 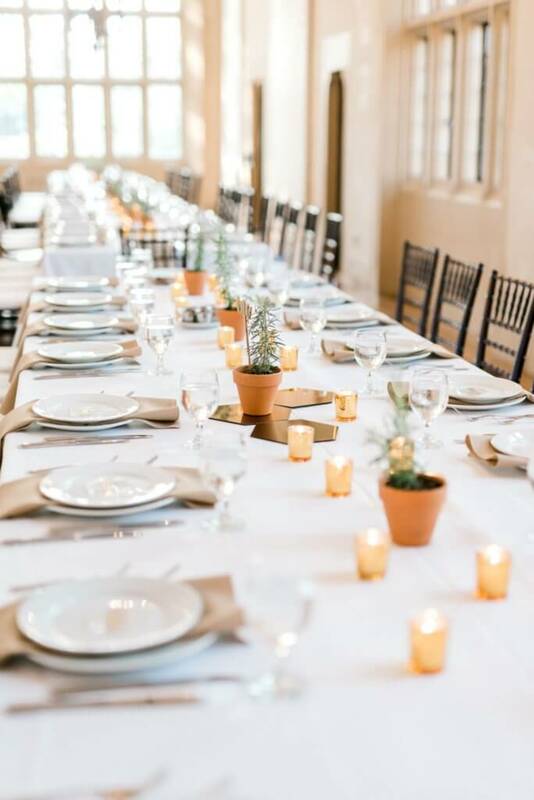 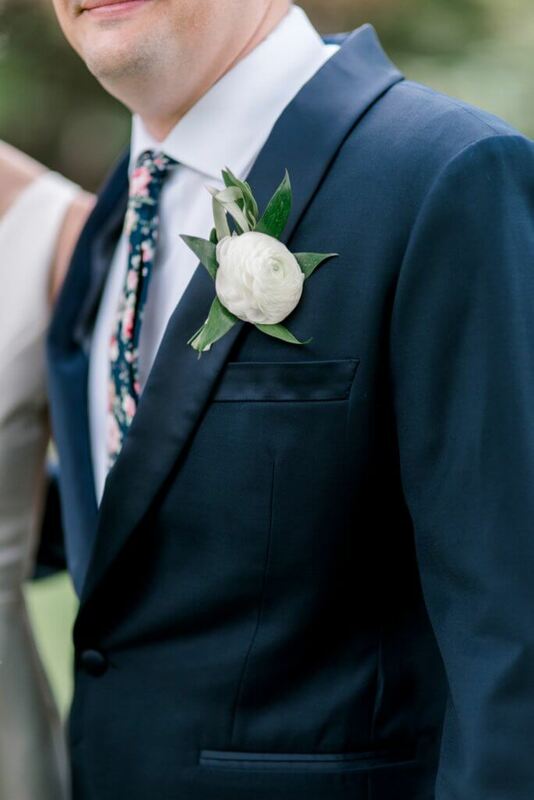 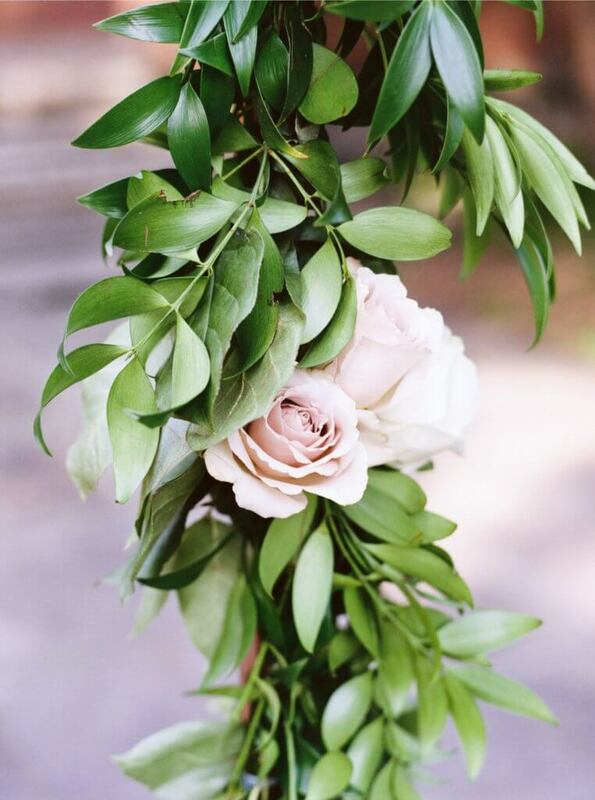 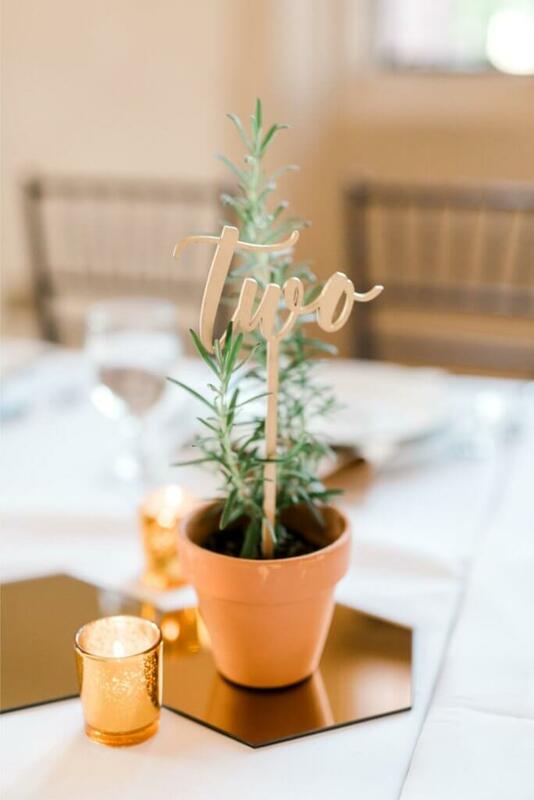 “I love greens, so in addition to the blooms, we had organic and wild garlands that snaked around the copper arbor that we were married under.” In lieu of traditional centerpieces, they used potted rosemary in small terracotta pots arranged in small clusters on the table with rose gold mirrored hexagons. 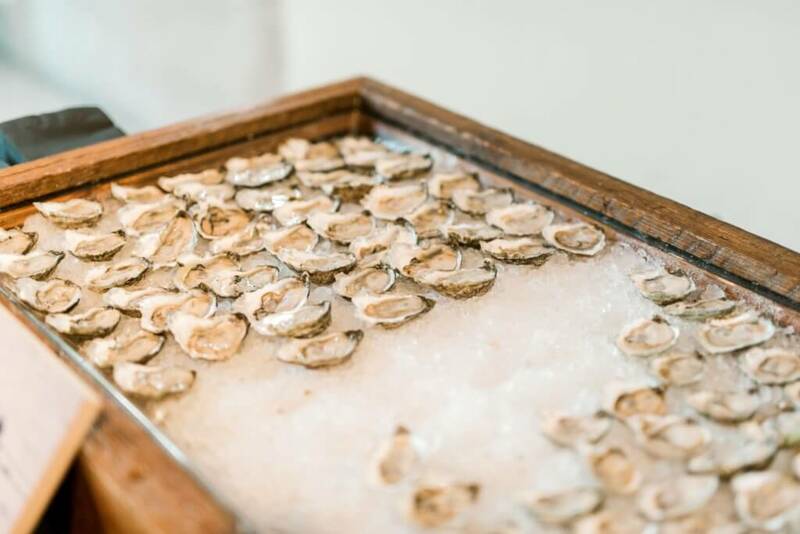 They paid homage to their special engagement by having Rappahannock Oysters at the wedding, a delicious addition to their family-style meal. 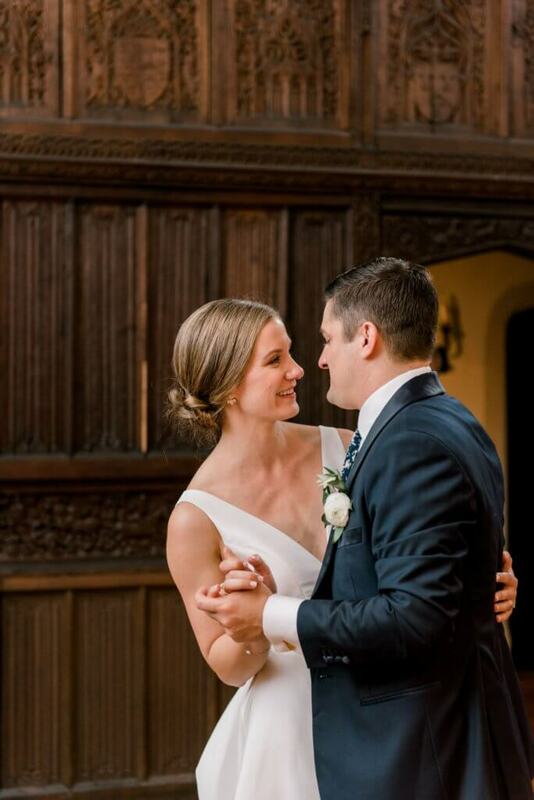 The two danced to Van Morrison’s “Crazy Love” and ended their night on the dance floor singing along to throwback tunes.